Kairos Prison Ministry International, Inc. is a Christian faith based ministry which addresses the spiritual needs of incarcerated men, women, youth and, their families. By sharing the love and forgiveness of Jesus Christ, Kairos hopes to change hearts, transform lives and impact the world. Kairos sprang from the Cursillo movement and is supported by volunteers from the 4th Day movements such as Cursillo, National Episcopal Cursillo, Presbyterian Cursillo, Lutheran Via de Cristo, The Upper Room's Walk To Emmaus, Great Banquet, and independently ecumenical Tres Dias as well as volunteers from independent and non-denominational churches. As a ministry, Kairos embraces a diverse group of volunteers working together to fulfill Christ's call to action in Matthew 25:36. 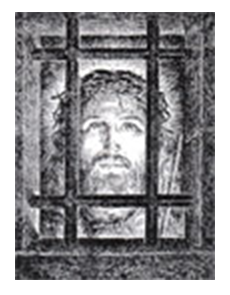 Kairos of Maine is tasked to provide assistance, guidance and direction to the Advisory Councils in Maine in accordance with the manuals and policies of Kairos Prison Ministry International, Inc. The various Advisory Councils in Maine are bodies of volunteers in the local Kairos community, who serve in leadership roles for the benefit of the health of the ministry. The members of the local Kairos communities in Kairos participate in the hands-on ministry activities. In addition, we take part in the election of persons who serve as members of the local Advisory Councils. The Kairos Inside program brings positive and negative leaders together, in both male and female institutions, for a 3½ day Weekend based on a series of talks, discussions, chapel meditations, and music led by a same gender team of volunteers. The Kairos Inside program goal is to build a continuing Christian community inside the institution through Prayer and Share accountability groups, and monthly Reunions organized by Kairos Graduates and volunteers. Kairos Outside The purpose of Kairos Outside is to demonstrate God's grace and love through Christian support for women who have relative/friends who are or have been incarcerated. Spouses, parents and relatives of the incarcerated often "do time" right along with their loved ones. The goal is to provide a safe place to encourage the sharing of one's life journey, to create an opportunity for a relationship with God and to promote participation in Support Groups. Kairos Torch is a mentoring program for incarcerated offenders age 25 and under. The Weekend is a combined effort to introduce young men and women to Christian concepts as a means of making better choices for their lives. The initial Weekend is followed with an established six month one-to-one weekly mentoring program that encourages the youth to remove their masks and see themselves as God sees them.